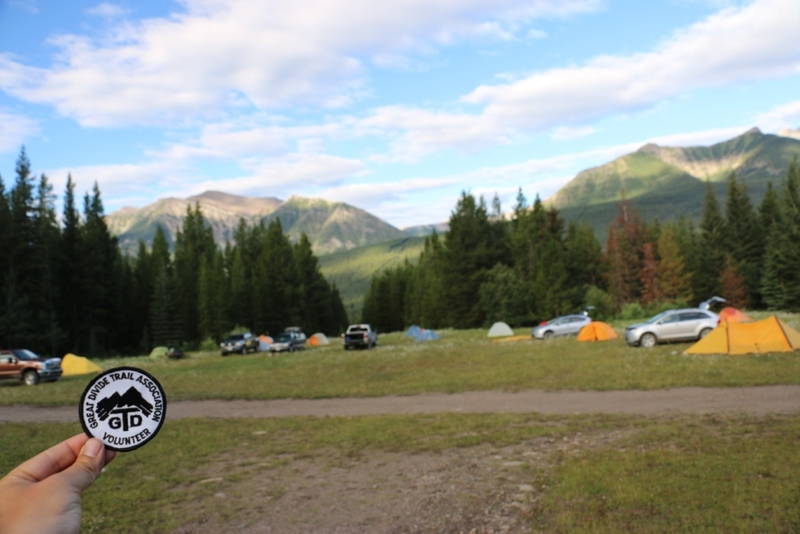 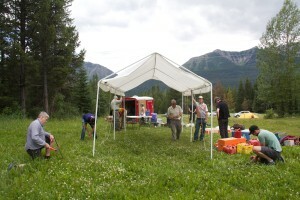 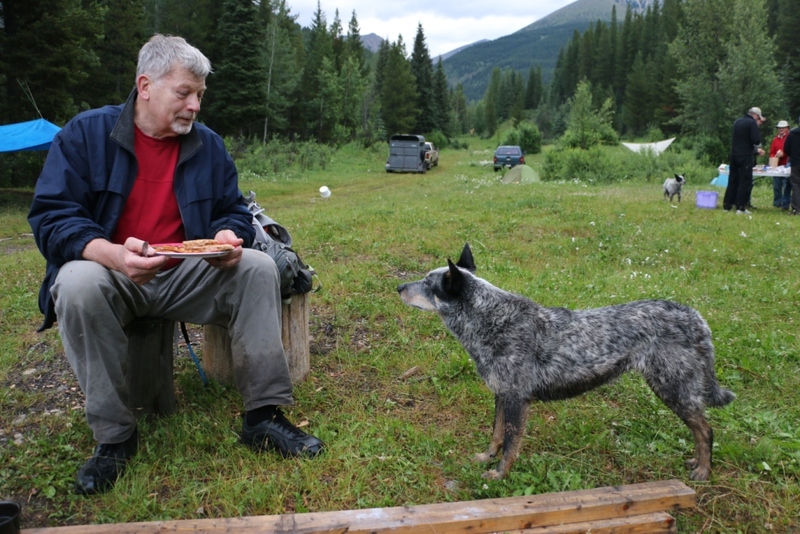 A washout on the Kananaskis Powerline Road necessitated a last minute relocation of our basecamp but the new site proved to be even better. 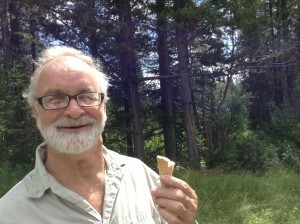 Dan, our kitchen coordinator and camp chef, thought that ice cream would be a good idea on this year’s trip. 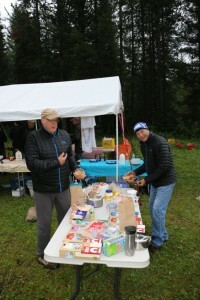 But when all of the ice cream started melting on Day 1, everyone chipped in to make sure none went to waste. 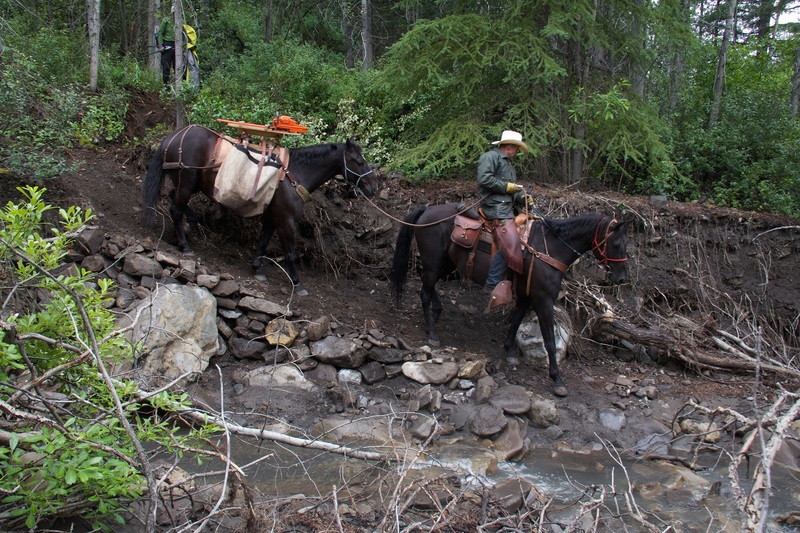 The lower section of the Aldridge Creek Trail was washed out in 2013 when a massive flood increased the flow of the creek exponentially. 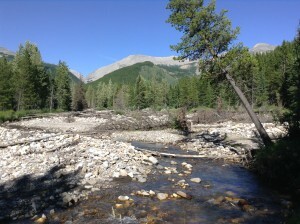 After the flood, only remnants of the original trail remained on the huge gravel floodplain. 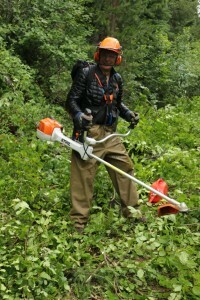 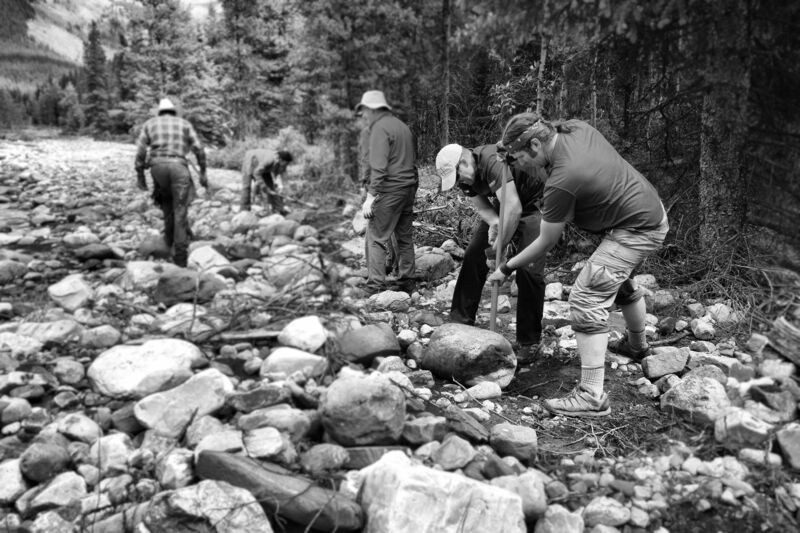 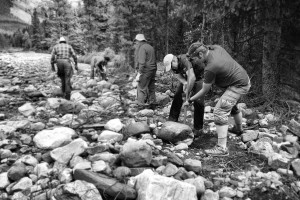 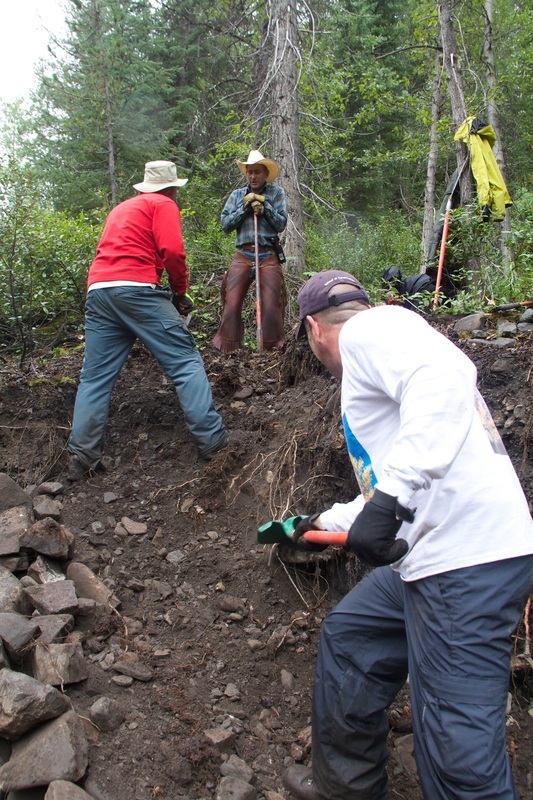 Our crew cleared boulders and debris and re-established the trail in the lower valley. 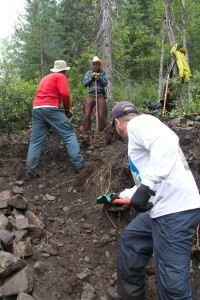 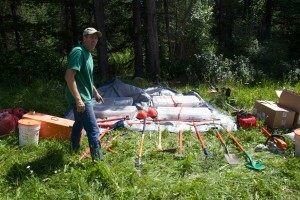 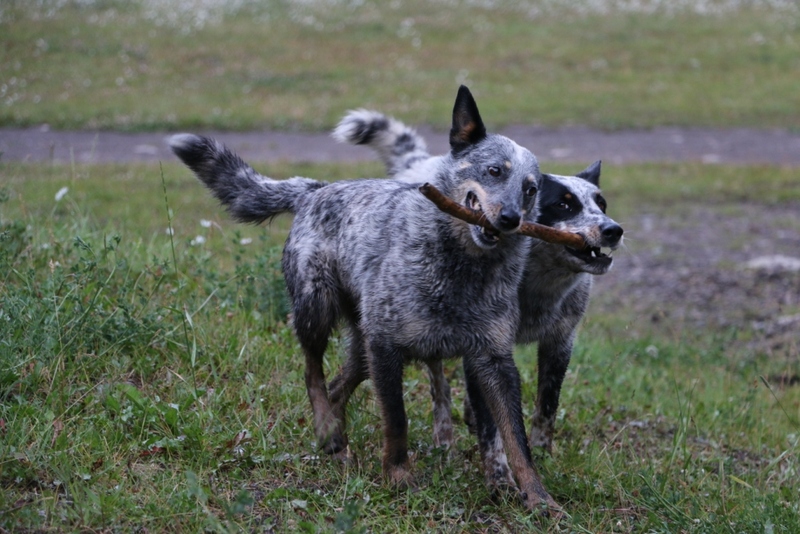 This work involved the use of shovels, mattocks, saws and loppers. 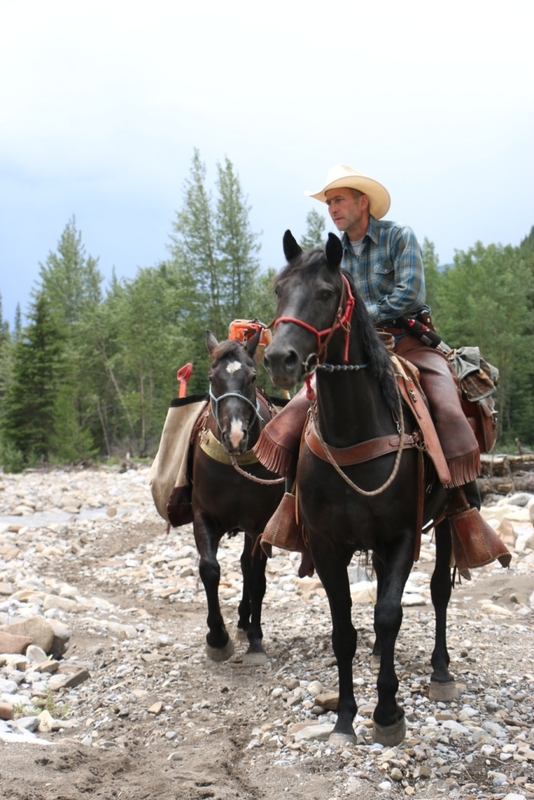 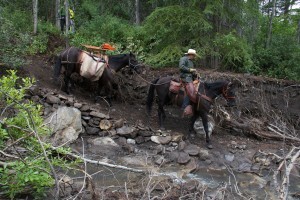 A new crossing of Mud Creek was built, good for hikers and horses. 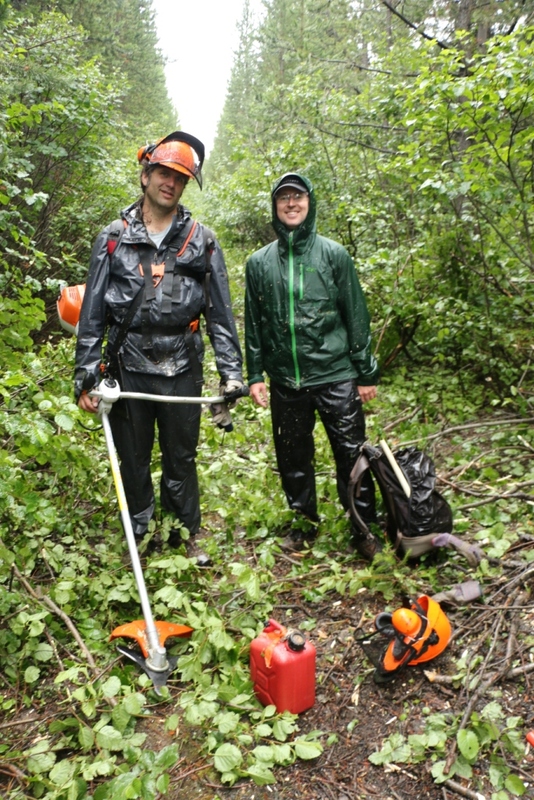 The upper section of the Aldridge Creek Trail was overgrown with alder, often completely disappearing beneath the encroaching brush. 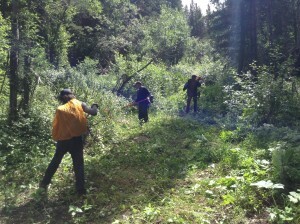 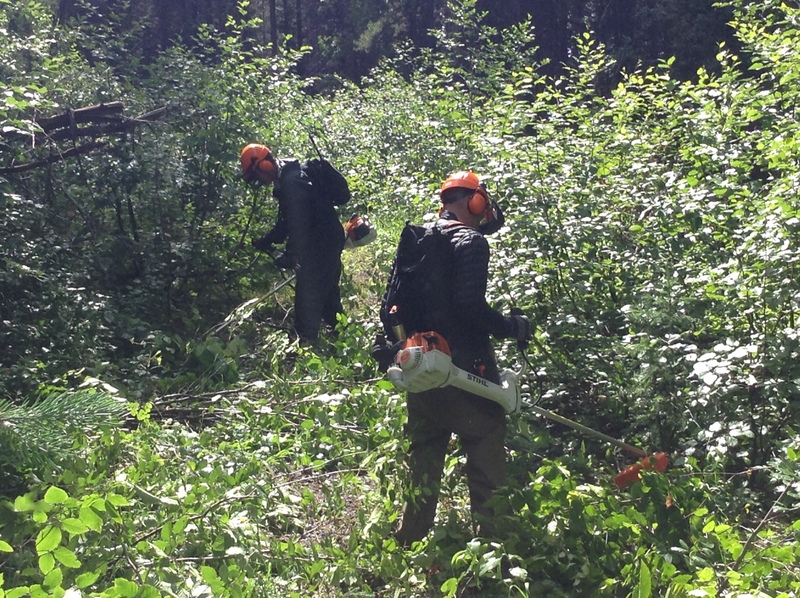 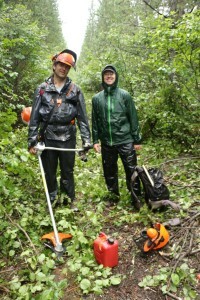 Two Stihl brush saws and hours of sweat and hard work were needed to clear more than 3 kilometres of trail corridor. 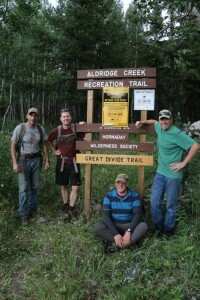 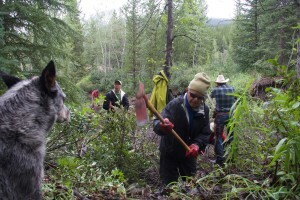 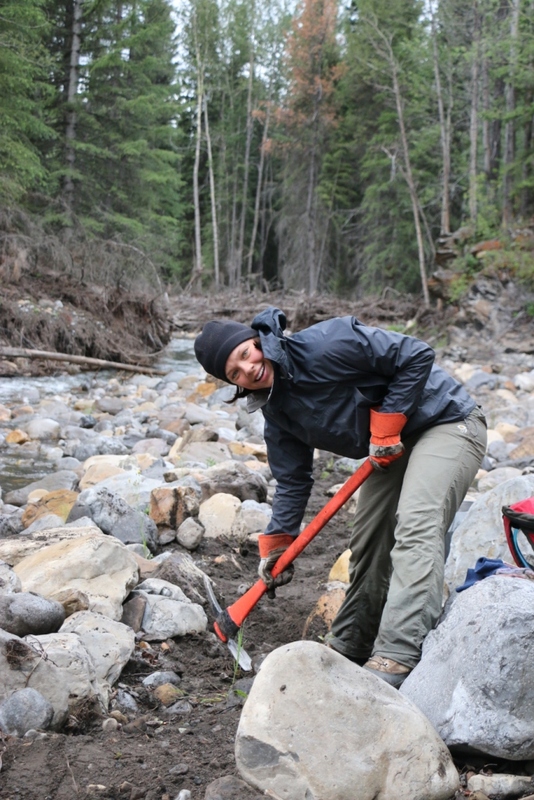 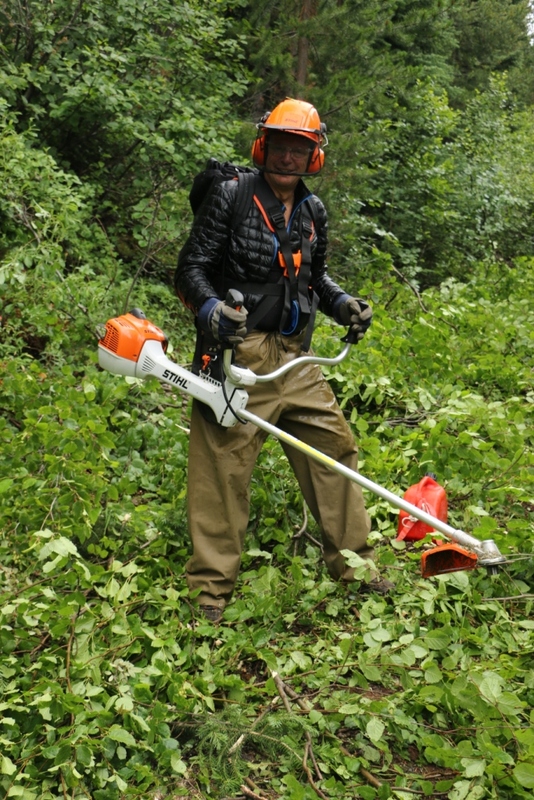 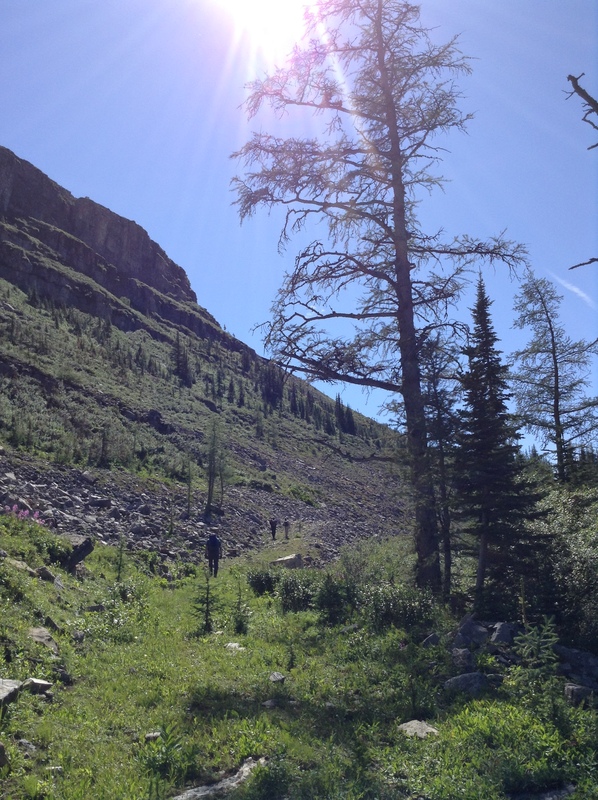 We had expected it to take 2 days to clear the overgrown trail but it ended up taking 3 full days to re-establish the trail up to Fording River Pass. On Days 2 and 3 of our trip, we were greeted by 4 happy thru-hikers, all excited to see us clearing and repairing what had been a notoriously bad section of the GDT. 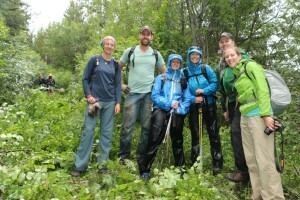 We met Gian and Laura on Thursday and Erin and Elizabeth on Friday. 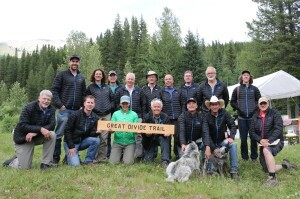 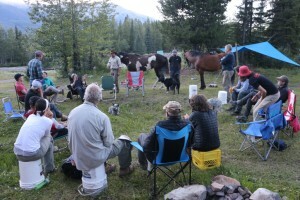 Check out Erin’s blog where she writes about her experience meeting our GDTA Trail Crew. 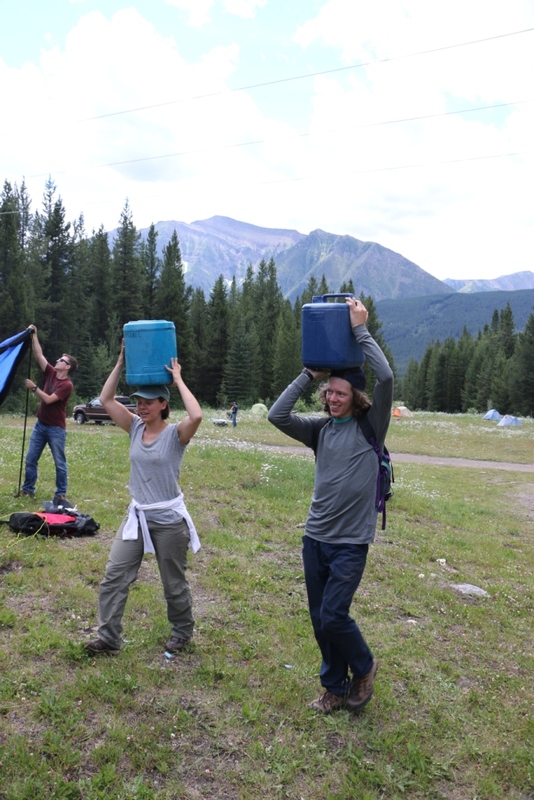 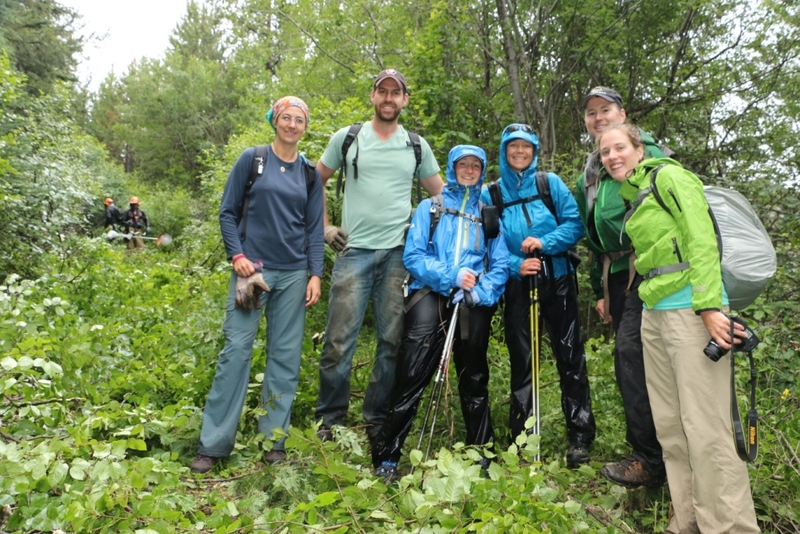 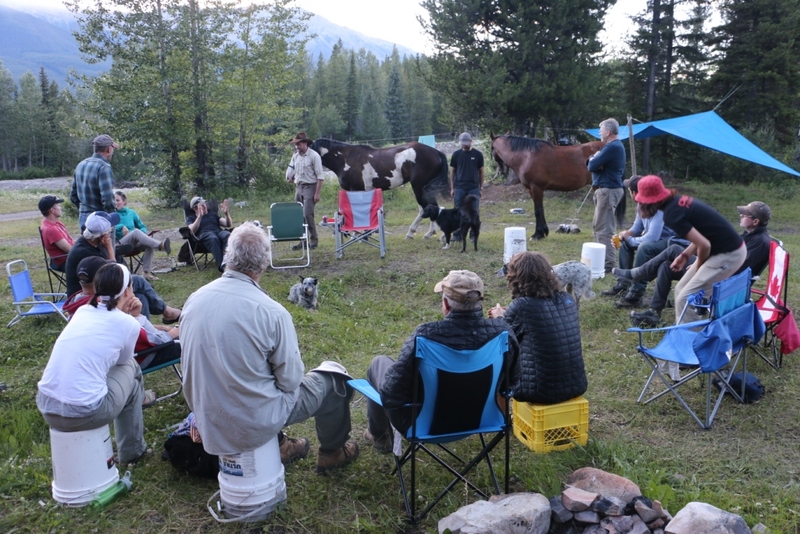 Special thanks to our sponsors for making our trip possible: The North Face, MEC, the Yellowstone to Yukon Conservation Initiative, Stihl, Spray Lake Sawmills and Superstore – Thank you!